Yakuza 6 is the ultimate iteration of the series’ blend of gritty crime story, hyper-explosive combat, and all the vices and distractions those locales have to offer. In Yakuza 6, Kazuma Kiryu will find out exactly how much people are willing to sacrifice for family – be those ties through blood or bond – when he investigates a series of shadowy events that involve the ones he holds closest to his heart. 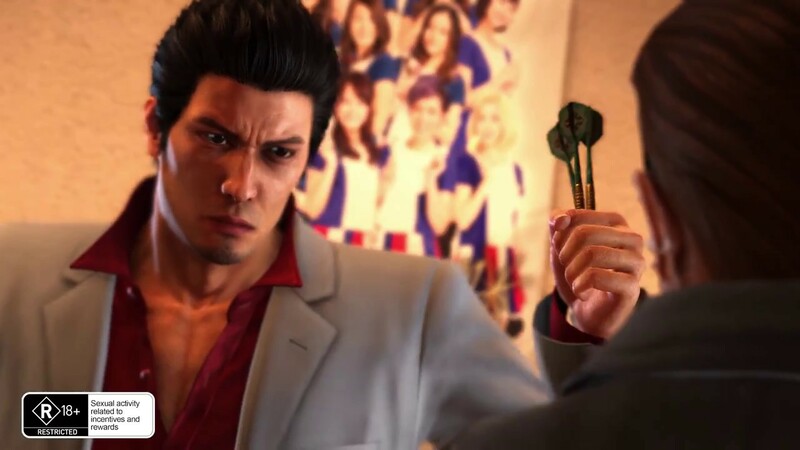 Fresh out of a three-year prison sentence, an older and weathered Kiryu comes to find out that his surrogate daughter, Haruka, has gone missing from the orphanage he looks after. The trail leads him to his old stomping grounds in Kamurocho, where he discovers that she has been struck by a car and now lies in a coma. To make matters worse, Kiryu learns that Haruka now has a son that he must look after. With baby in hand, Kiryu journeys to the seaside town of Onomichi, Hiroshima to unravel the truth about Haruka, her son, and a sinister secret that the Hiroshima yakuza are harbouring. Let the Bodies Hit the Floor – Yakuza 6 Kiryu is a 100% certified thugifed OG, so that means he’s a battle-hardened veteran when it comes to the art of street fighting. Although he utilizes one fighting style this time around, you best believe Kiryu hits like a truck. Devastating combos and bone-breaking Heat Actions make a return, but now the Dragon of Dojima can fill up a meter to engage Extreme Heat Mode. When activated, Kiryu glows blue and unleashes heavy-damage combos with his fists or any “tool” that’s close at hand. Painting painful masterpieces has never felt so good. Fully Voiced Japanese Audio – For the first time in series history, every line and piece of dialogue is fully voiced in Japanese. Let the dramatic story and absurd humour of the series unfold like an interactive foreign film experience.